In 2008, while I was still a reporter at the New York Post, I was also two years into an unpaid freelance stint as one of the "Fashion Police" peanut gallery bobble heads in the back of Us Weekly. Every couple of weeks, we'd get an email with a bunch of photo attachments of celebs wearing bad outfits—and we'd have to reply to the assigning editor with quippy one-liners, preferably no more than seven words long, describing each picture. They'd wind up picking a few and running them alongside the celeb photos in the back pages of the weekly. On the first day of fashion week that February, I was backstage at a men's show—it might have been Duckie Brown, but I can't remember now—when I started getting texts and emails on my Blackberry (the blue one with the grey buttons and the scrolling wheel—remember those?) from people I hadn't heard from in years, like friends from college and stuff. 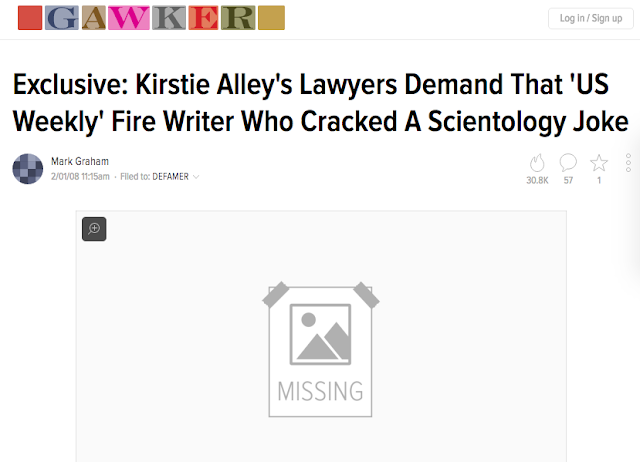 All of them were asking: "Are you the writer Kirstie Alley is trying to get fired?" So I started to panic, thinking I'd somehow accidentally slandered Alley and was about to lose my job at the Post. Cell reception was terrible backstage (and this was before 3G, I think, so we were still on like GPRS data speed), so I couldn't Google anything on my handheld. I tried to call some friends at work, but it was 9 a.m. and no one was in yet, so I shot off a few emails and stayed at the Bryant Park tents doing my fashion week reporting—all the while pretty sure that I was about to get canned by my editor over something I didn't remember writing. 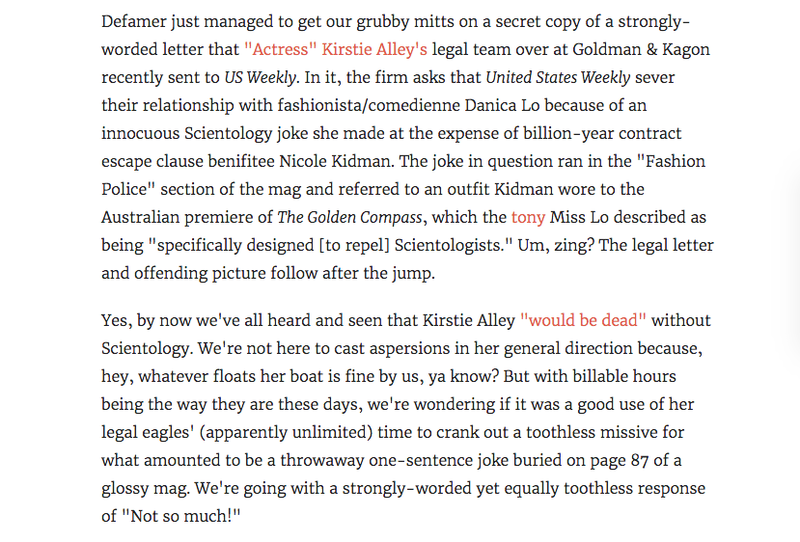 When I finally got my friend Raakhee on the phone later that morning—she and I wrote a weekly fashion column together at the paper and had sat next to each other for five years, so each of us always knew what the other was working on—she scrolled through our CMS looking for any mention of Kirstie Alley. Turns out we had never written anything about her. So I was super-confused. 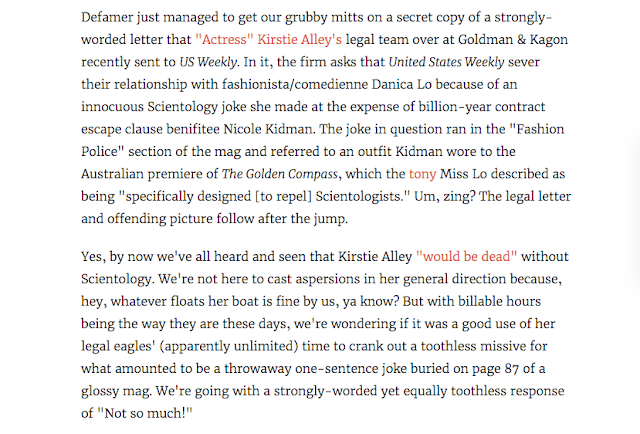 It wasn't until later that day, when I got back to my desk and checked Gawker that I saw what Alley and her lawyers were upset about—some random, totally un-funny off-the-cuff thing attributed to me in the back pages of Us Weekly. 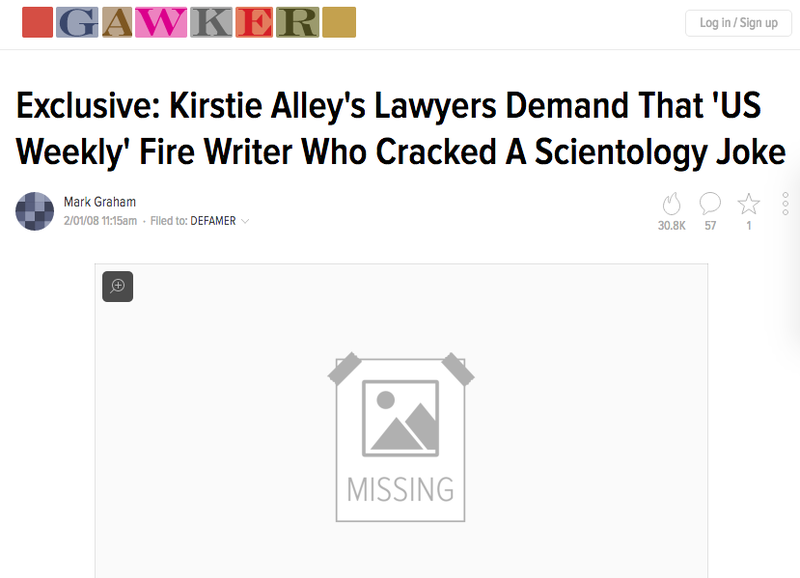 In the end, nothing happened, Us Weekly wasn't bothered, and I was just super-pleased that I'd been written up by Gawker. Most. Famous. Moment. As. A. Journalist. Ever. Thank you for the good times, Gawker. I don't know what site I'll go to 15 times a day, out of sheer habit, after today.